Starting your own business is a great way to earn a living, set your own hours, and become your own boss. However, many aspiring entrepreneurs wonder starting their own unique business is worth it or if it would be better to buy in a franchise investment. There are pros and cons to each, but the advantages associated with franchises, particularly cheap franchises that allow you to invest little upfront, are worth taking into consideration. One of the clearest benefits you receive when buying a franchise is the immediate brand recognition. People will have already heard of the business, so you can spend less on advertising because consumers already have a good idea of what you have to offer. Starting your own business means you are mostly on your own. However, investing in a franchise means you will receive training and support from the company. Professionals in the field will share their invaluable expertise and knowledge. This support means even people without a formal business degree can achieve great success. Buying into a successful brand means you will receive a formula that has proven to be profitable time and time again. 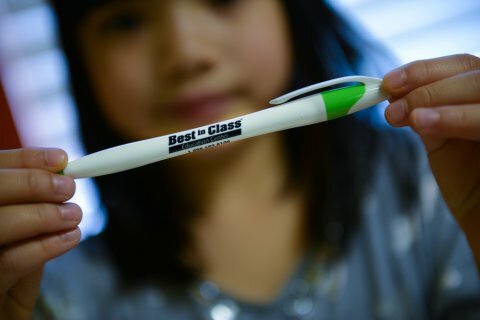 With Best in Class Education Center, you will receive proper training on how to deal with your staff, how to market, and how to remain abreast with the product line. Virtually all businesses will need a loan at some point. Banks and other lenders look at a number of factors, including the overall risk your business has. If you want to open a franchise, then your chances of getting approved for a loan increase substantially. The lender will have heard of the franchise and will know it can turn a profit. Loans from the Small Business Association are a great option, and whether you are just starting your business or have been around for several years, you can get a loan from the SBA. While it is true that someone who owns a franchise has to answer to higher powers and follow the formula, owning a franchise is still a great way to call the shots. You still get a say in the hiring processes and other components of business operations. While business experience certainly helps when looking for a good franchise to buy into, you do not necessarily need to have it. You will receive training, so the franchise you get into will provide you with all the resources you need to excel. There is no need to go back to school for a four-year degree when you can simply acquire a franchise. As with any other business, there are always risks involved. No business model is bulletproof, but with a franchise investment, you can drastically decrease your risk while increasing your potential return on investment. You can increase your chances of success even more by joining the Best in Class Education Center team. Fill out our online contact form to ask questions and learn more.